“She’s incredibly brave and open. 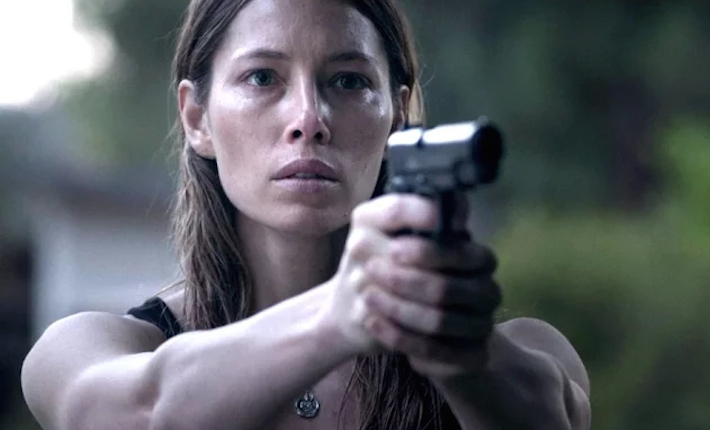 She had no ego and no vanity at all,” says writer/director Diane Bell of working with actress Jessica Biel on her thriller Bleeding Heart. The film is set in the serene world of the Southern California yoga community. Biel plays May, a peaceful yoga instructor who discovers she has a half sister. After realizing her sister, played by Zosia Mamet, is in an abusive relationship with her boyfriend, the two embark on a path to change their lives. Along the way, Biel’s character starts to realize she lives in her own kind of prison. Bell came up with the idea for writing and directing the contained thriller while teaching yoga in Scotland at a social welfare center for women. The women were “living with very high levels of violence… Most of them came from the foster care system and they were working on the streets and no one cared. And that really stayed with me,” she says. Bell was hesitant to cast Biel at first because she’s so “glamorous.” But after the two met and Biel told her she loved the character, Bell was sold. Bell asked her “how do you feel really about wearing no makeup…? She was like of course! I think her performance is really special.” ScreenwritingU sat down with the writer/director to hear all the details. Bleeding Heart is available in theaters on December 11 and on VOD. No Replies to "BLEEDING HEART, an emotional thriller from writer/director Diane Bell"